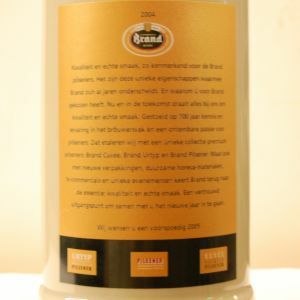 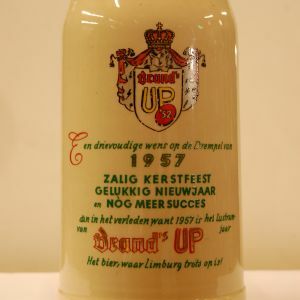 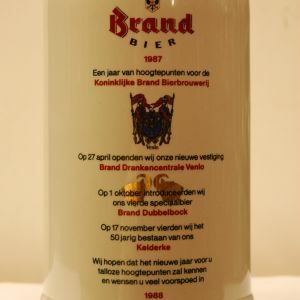 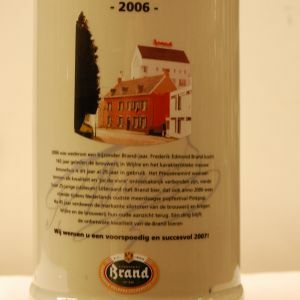 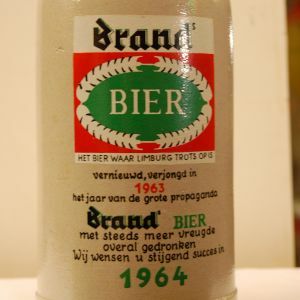 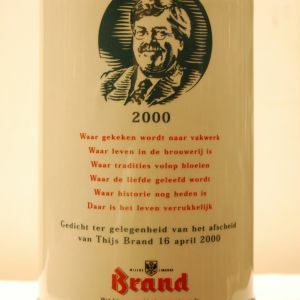 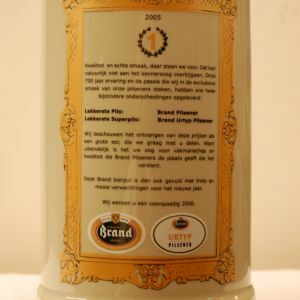 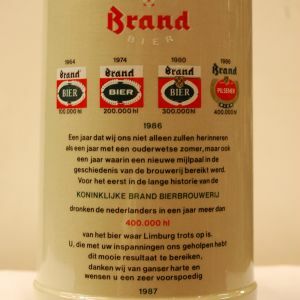 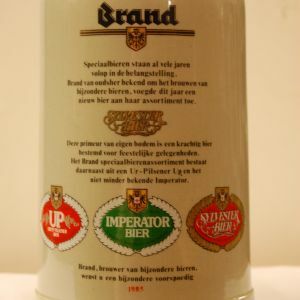 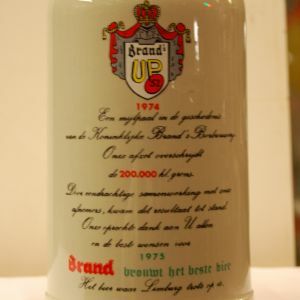 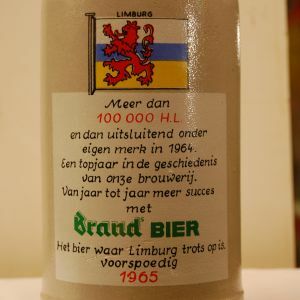 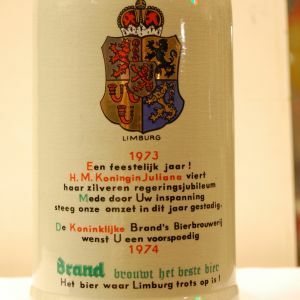 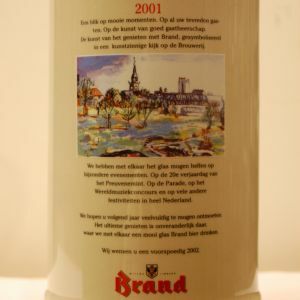 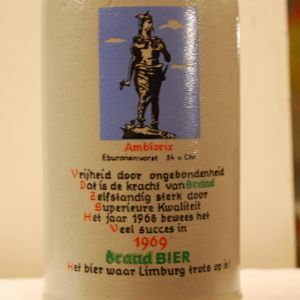 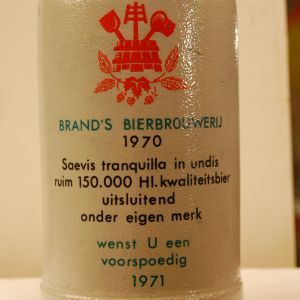 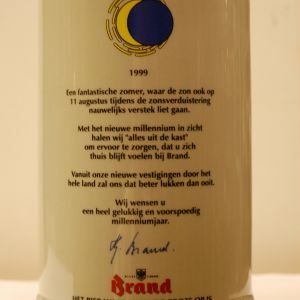 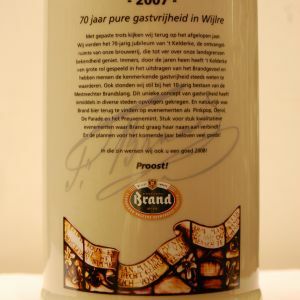 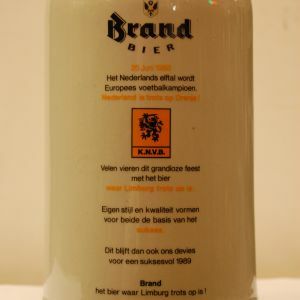 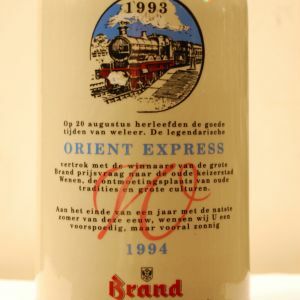 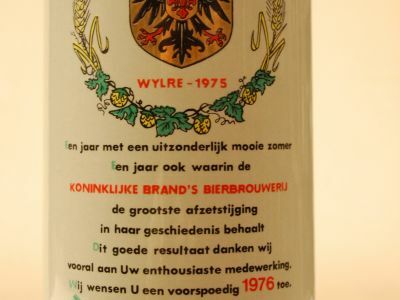 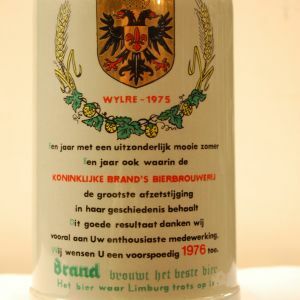 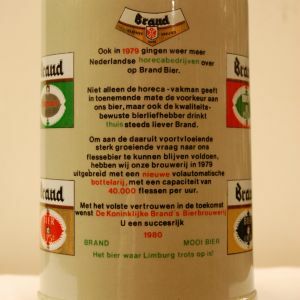 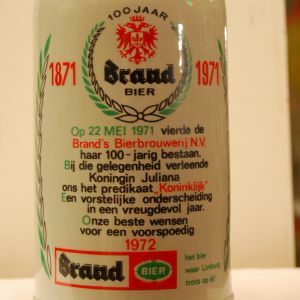 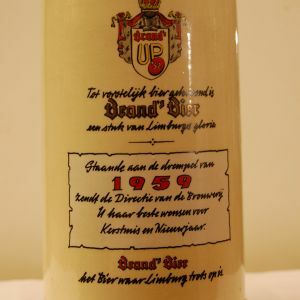 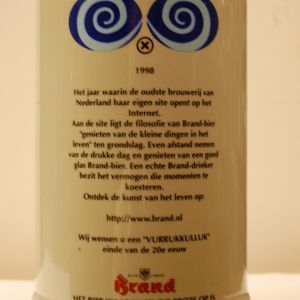 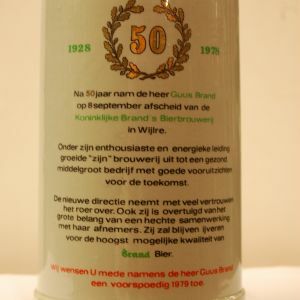 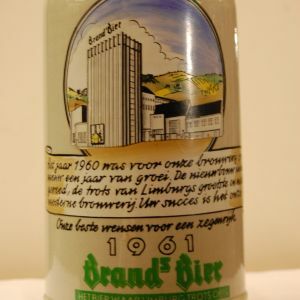 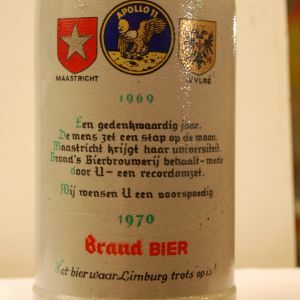 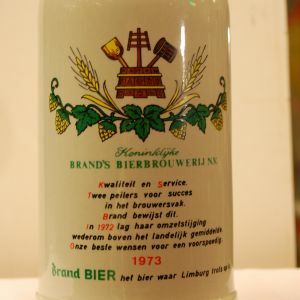 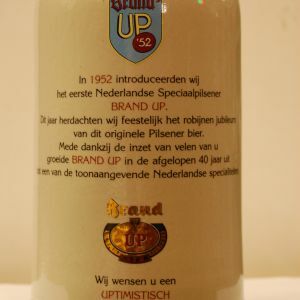 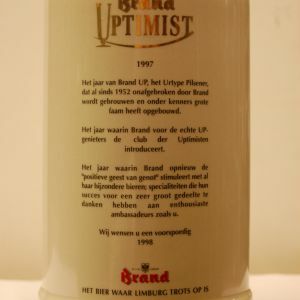 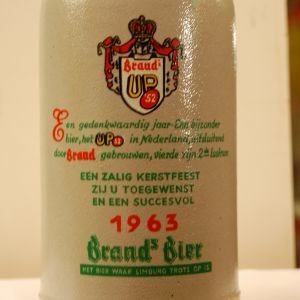 Guus Brand, commercial director of the brewery from 1928 until 1978, was strong in communication. 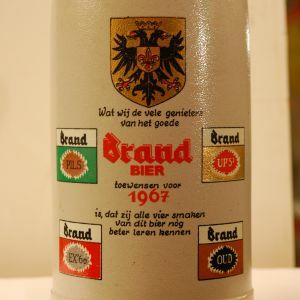 He saw the importance of advertising and developed the typical gothic styled logo. 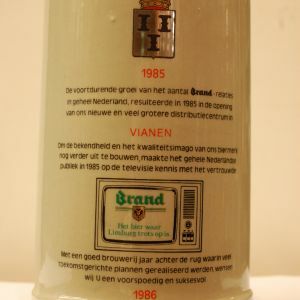 In addition, Guus understood the importance of maintaining good stakeholder relations. 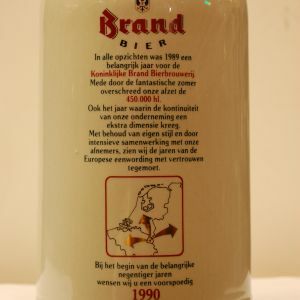 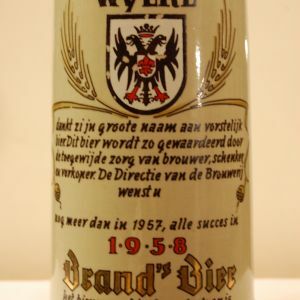 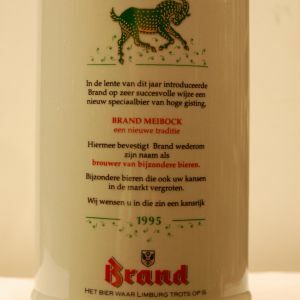 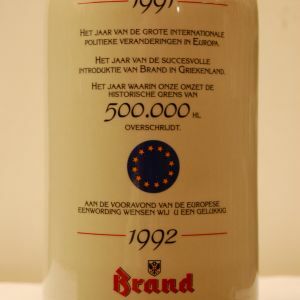 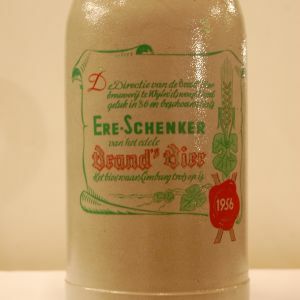 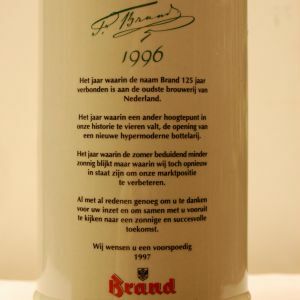 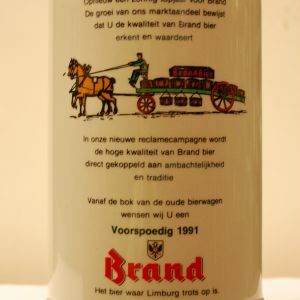 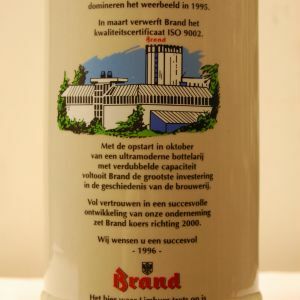 An example of this was the introduction, in 1956, of the famous end of year Brand tankard. 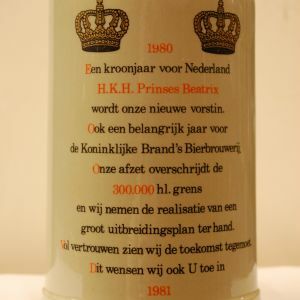 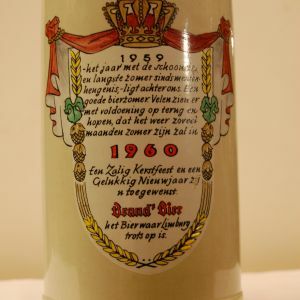 Best wishes for the new year, as well as, the highlights of the previous brewing year inscribed on these annual tankards. 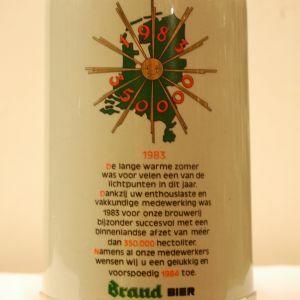 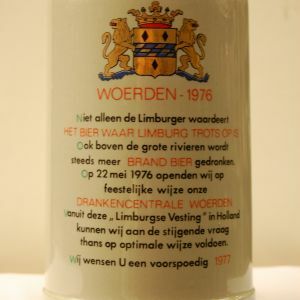 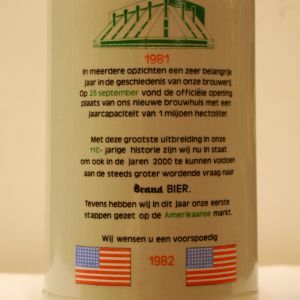 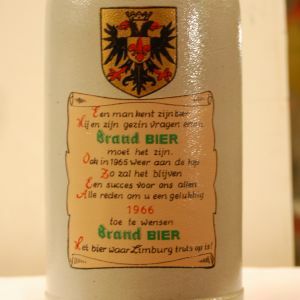 The events described on the tankard varied from record production volumes (hectoliters) to the introduction of a new special beer and even to a weather report as in 1959: ‘the year of the fine long summer in living memory. 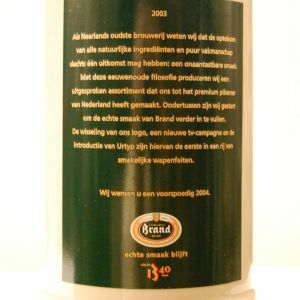 An excellent beer summer’. 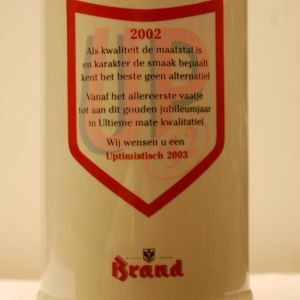 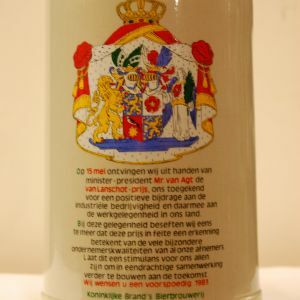 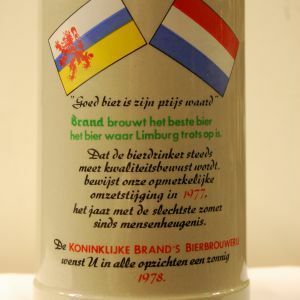 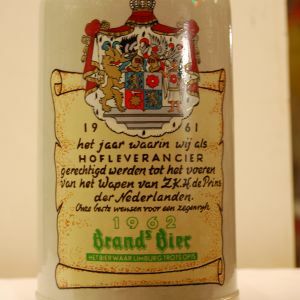 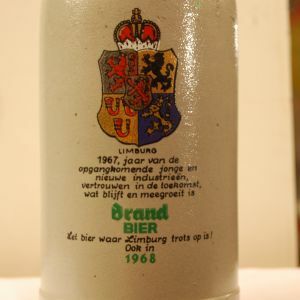 Since 1956, every Brand employee receives this tankard and it is even a sought after collector’s item.